These movies aren't films that make you think. They're not filled with Oscar-worthy acting. They're fun romps filled with car chases, bloodied heroes, stereotypical villains, explosions and fight scenes. I can't exactly explain why I love these movies so much other than that they, plain and simple, entertain me. These movies' ability to make fun of themselves makes me smile, and nothing makes me laugh as much as their ridiculousness. Don't get me wrong, I enjoy romantic comedies and philosophical thrillers/dramas as much as the next girl, but there's just something about action movies that I simply can't resist. Are you a fellow action movie fan? What's your favorite? 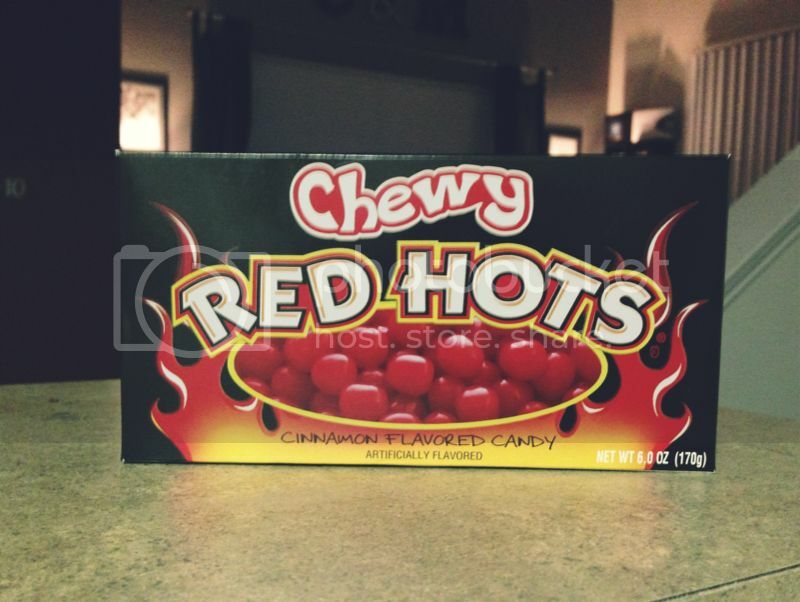 Colt is a candy fiend, but his current drug of choice is Chewy Red Hots. TGG has been a fan of the band AFI for years. With each album the band releases, there are a lot of mysteries and conspiracies that build up, creating a game of sorts for fans. As TGG says, "I spent a good deal of down time at work on Saturday rereading a bunch of these clues from the past few releases that deal with secret websites, phone numbers, even providing a 'password' of sorts to another band's merch guy to get a secret pin." The game has begun anew, and a new album is likely come out this year. In April, they started releasing "teaser" videos; so far there are three. The first is below. Here's a Tumblr devoted to the current mysteries. I love action movies too! If any of the Die Hard movies come on the TV I can't help but watch it. I love those witty one liners. I really don't know if any of these are actually "guy movies", but I think they fit the typical description and they're some of my favorite movies ever: Braveheart, The Godfather, Thor, Iron Man, The Avengers, Band of Brothers, The Good, The Bad and The Ugly, Kill Bill, Pulp Fiction and the list truly goes on... and on... and on. Those are all excellent films. I'd put the superhero ones in their own category—and you know I love those too! Wes will be glad to hear that! The Die Hards are so good, too. Bruce Willis can't really do wrong, in my eyes.